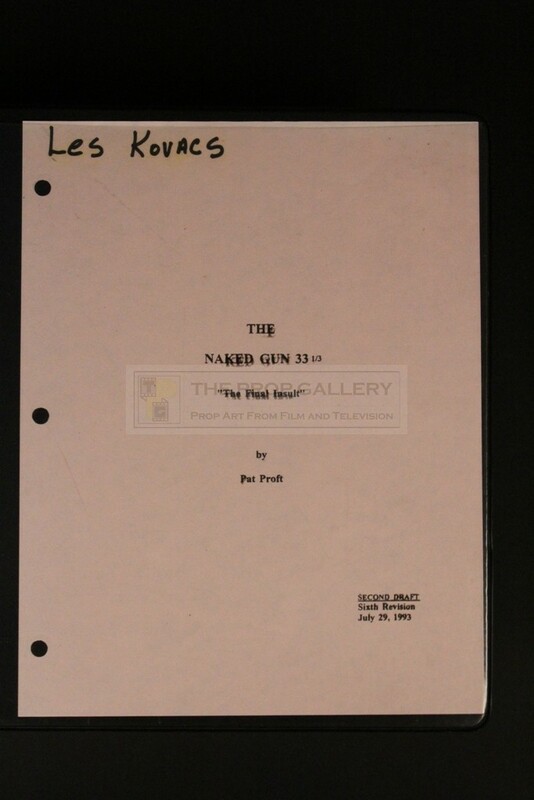 An original binder used in the production of Naked Gun 33⅓:The Final Insult, the 1994 comedy picture starring Leslie Nielsen and the final instalment in the Naked Gun series. This binder was utilised by chief lighting technician Leslie J. Kovacs during filming and contains a script and various documents relating to the production of the movie which are presented in a large black binder with a script page inserted to the front to act as a cover, this is hand inscribed 'LES KOVACS'. 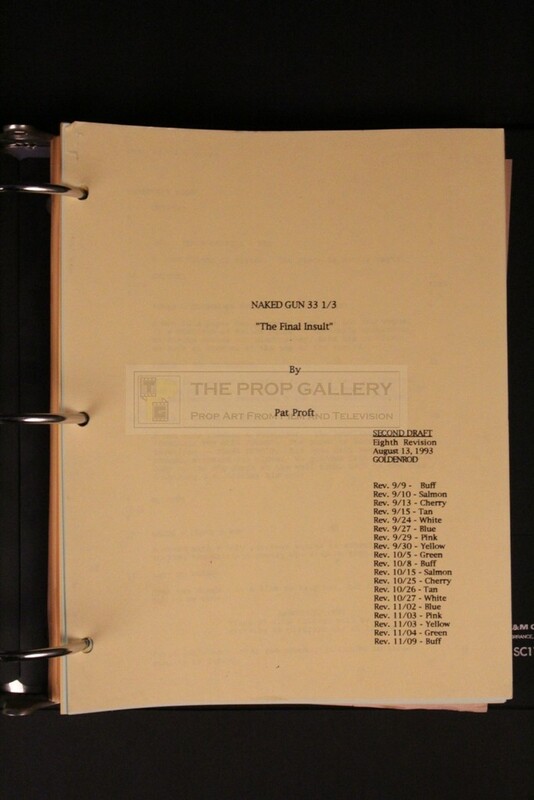 Contained within the binder are numerous production issued documents totalling over 200 pages to include the following, much of which is dated between July and September 1993. 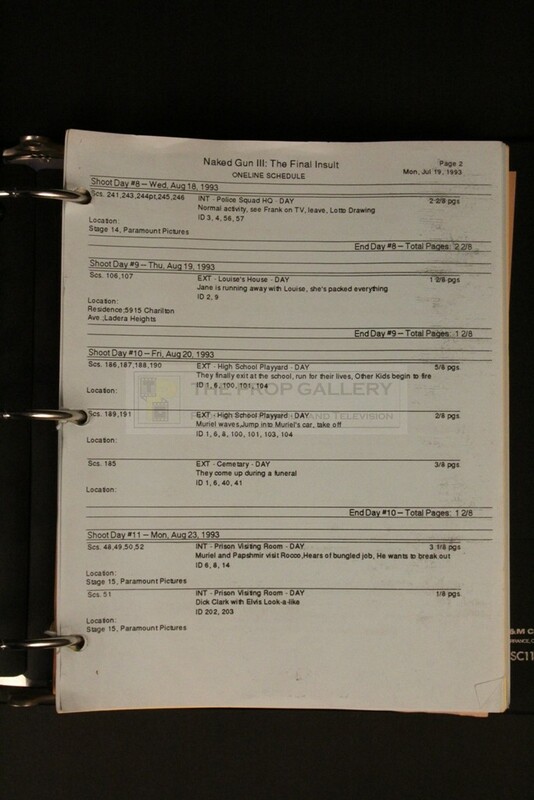 One line schedule printed on yellow and blue paper, comprising 15 pages, lacking front page, second and third present but detached. 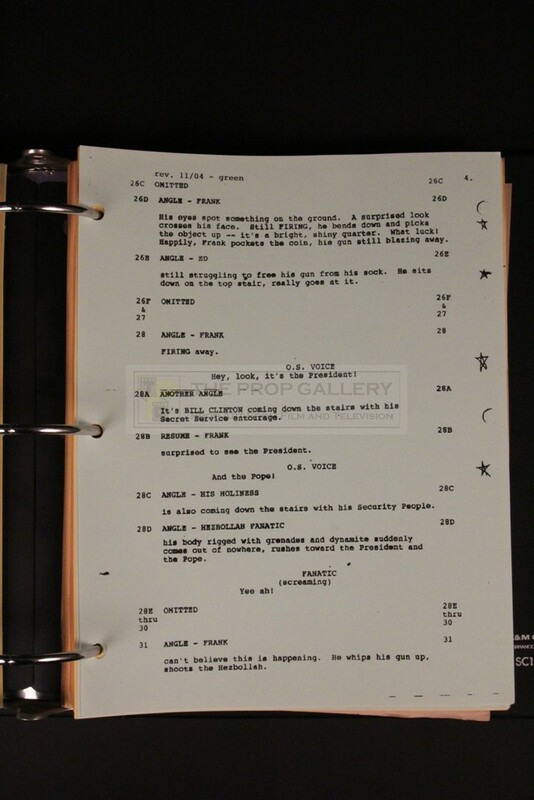 Revised shooting schedule on yellow and blue paper, comprising 45 pages with some minor hand inscribed annotations. 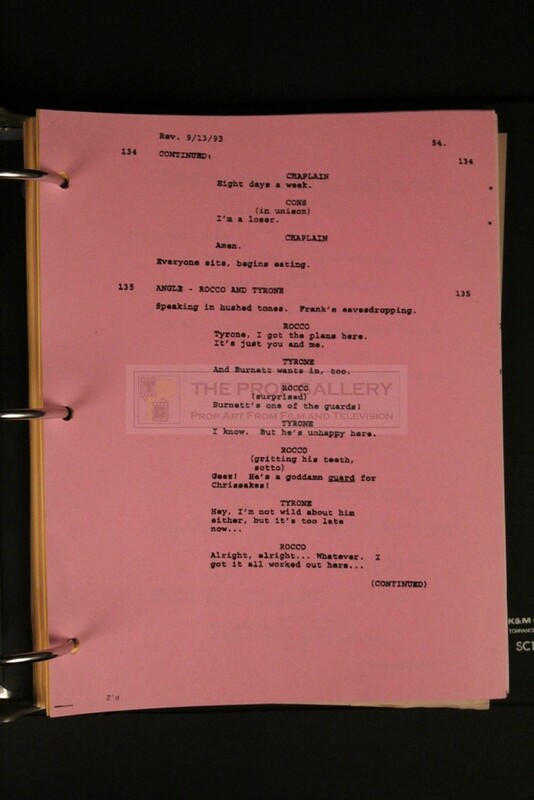 Second unit one line schedule on blue paper, comprising 8 pages. 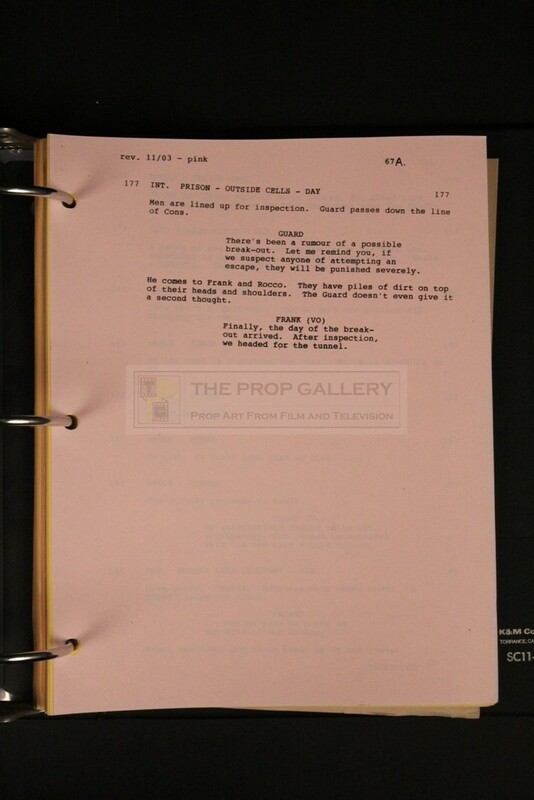 Second draft script, comprising 123 pages with various revision sheets on multi coloured pages. 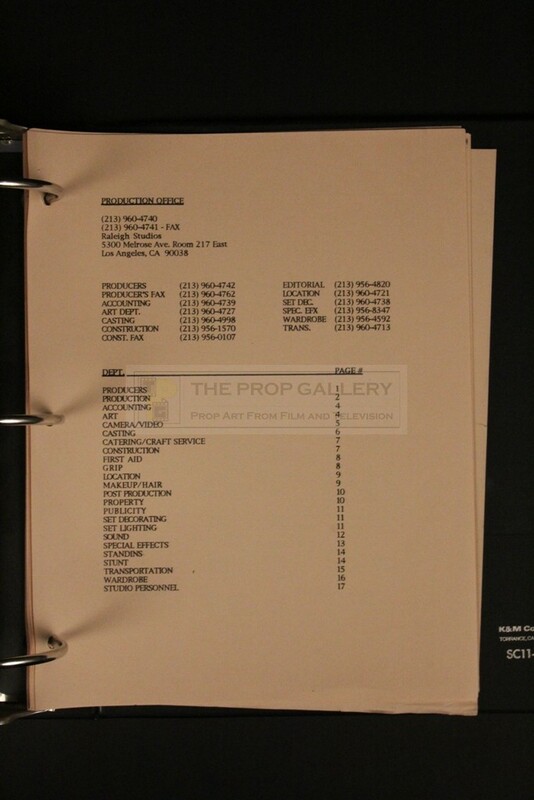 Staff and crew list on brown paper, comprising 17 pages, final page detached. 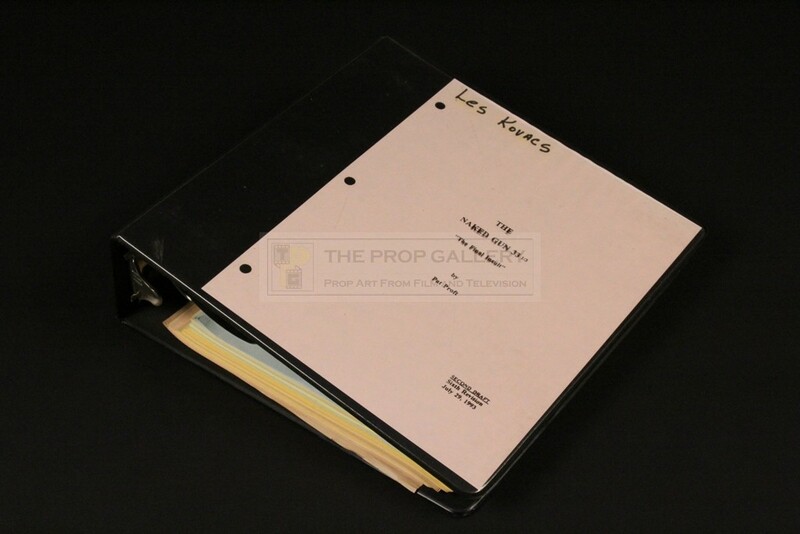 The production binder measures approximately 11.5" x 11.5" and remains in excellent production used condition with some light edge wear to the contents, overall very fine. 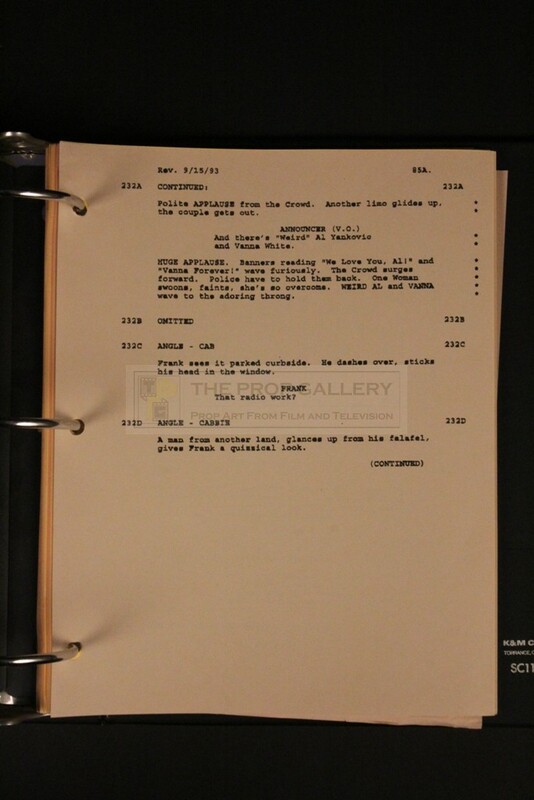 A rare and concise example of original production material from this classic comedy franchise.